When Greig Trout, the author of 101 Things to do when you Survive, messaged me to let me know he’d nominated me to take part in a BBC documentary, we had no idea that the filming would take place today, my cancerversary. I’ll be honest and say that I have been more than a little nervous about doing it at all and the idea of ‘putting myself out there’ for all to see on the tellybox has induced more than a few sleepless nights. Greig had been asked to do the show and would, no doubt, have been brilliant. But the lure of more travelling, proving there is life after not one but two cancer diagnosis, inspiring others and raising awareness was too great for him and he jumped on a plane to Broome in Australia instead! I can’t explain too much about today’s filming as the BBC want, of course, to have an impact with the show when it’s aired in January. My day started at 7.15AM when a taxi arrived to take me to the first filming location in the City of London. Stupidly I wondered how I would recognise the team I was meeting… until I walked in to a coffee shop to see cameras and lights set up and waiting for my arrival! (blonde moment). Nervously I was interviewed on camera. All the time worried about how I would look, whether I would do a good enough job and trying not to be emotional. The next part of our day was crucial. I was to conduct an ‘interview’ on camera. I needed to be polite but to needle. I needed to enquire but to listen. I needed to ensure my questions would inform and that the answers received were useful. I needed to be Robert Peston but hope that little old me was an OK substitute. 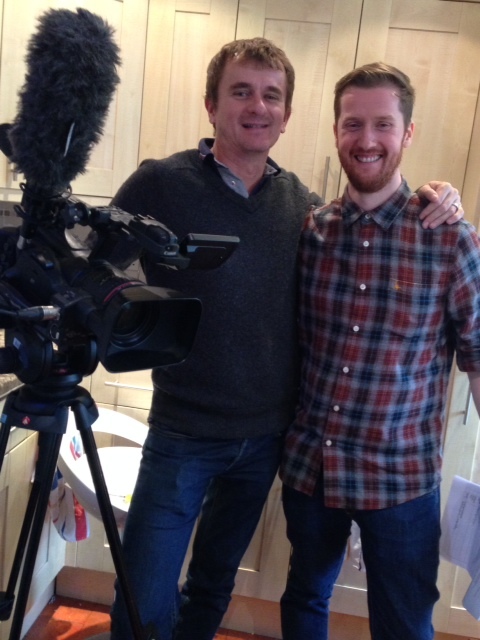 The final part of the day was about me and filmed at home. ‘About me’ is never something I’ve been particularly comfortable with. I’m usually taking the photos or choose to hide at the back of group pictures. Unsurprising then that when asked by the BBC to find some holiday snaps of me, I had diffuculty locating ones with me in them! Ironic to think I am spending the day being filmed! I was interviewed on camera about my diagnosis and experience with having cancer. Having been in control of my emotions all day, I wonder if I might seem emotionless on camera. We also filmed me doing normal things at home, meeting a friend, juicing, writing this blog, looking at holiday photos etc. All to set the scene about me in the documentary story and why the topic is so important to be aired. Let me know : Rip Off Britain being aired in January. PS Apologies about the ill-fitting jeans… my excuse – I’ve lost weight and got dressed in the early morning darkness! Sadly due to problems on the M4 I missed the introduction to the day and part of the first speaker’s presentation. 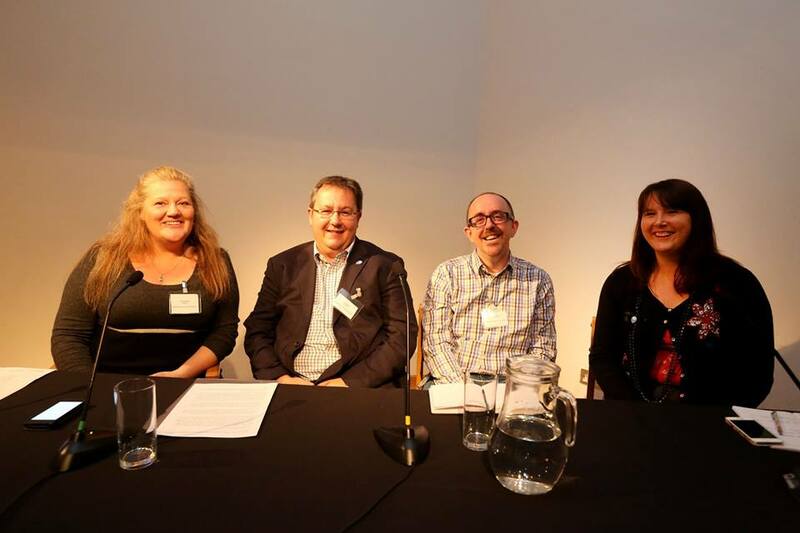 Public perception of research – where are we starting from? Majority of respondents want to take part as long as the research has been approved by the research committee. Involving patients in the group helps with research and information written in a way that can be understood by the non-medics. However our research showed that patient involvement in the research project didn’t make any difference to their involvement. The term “Patient involvement” was not clearly understood either by patients or practitioners. But once understood what it means both practitioners and patients appreciate the involvement of patients. Communication was central to the better outcomes however practitioners are aware that they perhaps don’t have the time to do this well. Patients need to feel empowered to ask questions and get more involved if they need to do so. Practitioners worried about giving alternatives as it may dilute the patient’s focus. Chronically ill patients tend to have more awareness of treatments and self-monitoring their wellness. Younger patients had higher expectation of their own involvement but were more reluctant to ask questions. Participants in research showed overwhelming support for the return of health related findings particularly when a condition is treatable and serious. Feedback throughout the process. Respondents valued the role of a health professional or those they already had an existing relationship with during the process. There is a high level of public support for biomedical research and willingness to donate NHS for this purpose. More information and interaction they have with the process the more people are willing to be involved. There was concern about where samples may be used. It was essential to provide good consent information. Public are interested but need more information, understanding and communication… Begin the conversation. PPI needs to be considered before you start the process of putting a study together. Involve patients before the study is even designed. Heading in the right direct but need to keep involving, developing and evolving. Linking across many hospitals over the north and east of London together with NHSBT transplant pathway. Started out setting up and putting in questions about research and consent to all patient questionnaires. This evidenced that most people would give consent but those that didn’t had a doubt as to how their tissue was being used. Simply speaking they weren’t aware of the ethics and rules. Amir was part of the team who set up a Big Bang Fair which is the largest celebration of science, technology, engineering and maths for young people aged 7-19 in the UK. During the Fair they were able to speak with the young people about organ transplantation and donating tissue for research. They also set up questionnaires before and after the process to gauge option on organ transplantation and tissue. The kids were dressed up in lab coats and participated in many ways including an interactive iPad game and an anatomical model. Take this format around the country. Introduced the next section of the conference with a slide from NCRI. Totally dependent on the donations that are given by the public to Cancer Research Wales. They’re also keen to say that all money raised will be used within Wales for research. Every January they open the doors to our research labs so that the supporters can come in and meet the researchers and have a tour of the facilities. Cancer Research Wales have a dedicated library for cancer. It is staffed by an excellent team who are able to research and provide specific information to medical professionals, charities and organisations thereby aiding the process. Using the monthly newsletter to include a story about the research projects. A story on the researchers which includes details on the projects but also some detail about the researcher themselves. In addition to fundraising projects and fundraisers. The emails these generate from the public is very positive. They track all the links on the newsletter so we can see how many people read which links. This helps them to know what is important to the public. There is to be an Opt-Out system for organ donation in Wales. How do we communicate the change to the public? It’s to be implemented in 01/12/2015. Organ Donation – why we need to think about it? One person can save or transform up to 9 other lives by organ donation. The most successful and cost effective treatment for many. High rate of family refusal to consent to donation often because we do not know what our relative wants. People are dying waiting for a transplant – 36 died in Wales in 2012/2013 waiting for organ donations. Around 60% never discuss it or get around to doing anything about it. Organ donation is a very rare event, 30,000 people die each year in Wales but only around 250 in the way in which donation is possible. Organ donation does not affect the quality of care you are given at the end of your life. Changing the law to a soft opt out version. This will happen until 1 December 2015. Means you’ve consented to organ donation unless they’ve said otherwise. Families will still be involved and be able to say if they know their relative didn’t want to donate. Expected to deliver a 25-30 increase in the number of donations or 15 additional donors… which each one could save 9 people! But also the two year period until it is to become fully effective. They need to understand the choices and decisions. If you want to be a donor you can make an express decision to be a donor. Or do nothing and it will be deemed to having no objection to organ donation. If you DON’T want to be donor you can register as that. The awareness and campaigning will need to continue so that new people to Wales understand their consenting and also so that people are reminded of how they can update their wishes. Cancer Research UK funded nurses and the research body at first. It’s now funded by the Welsh Govt. Involving people through training and also payment. 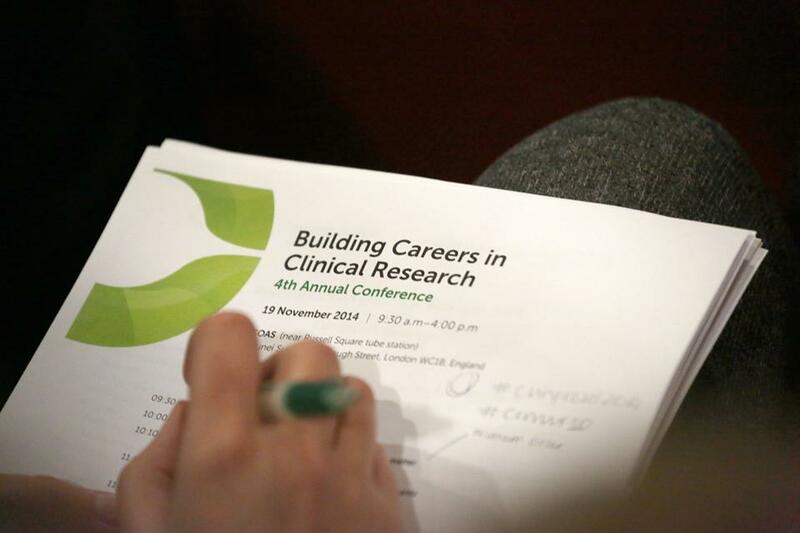 Cancer Research UK do still fund some clinical research nurses at public promotional events in Wales. Patient understanding of clinical trials is low. A campaign that was carried out is ‘It’s OK to ASK‘. GE provides tools and machinery to pharma but isn’t a pharmaceutical company. Be clear about your strategy. What outcome are you looking for? A little like a business strategy. It takes time to build relationships and they develop over time with interaction. Focus internally and externally so that people understand what your strategy is. Programme of public speaking events. Prepare a speakers toolkit and ask your supporters to advocate/speak for you. Your people are your best advocates. Make sure they are all informed enough to talk about it. Have events and remind people what you’re doing and why. Space them out so that they keep momentum but not too many. Visit from health minister to show and tell about products and aspirations. Signing of Memorandum of understanding with the local universities. Looking for synergies and collaborations. There’s a huge amount of people using social media however there’s also a lot of noise. We need to be heard above it. Want to tell stories of people we support. This increases awareness and also share the work that we do, research , support fundraising and awareness. We want to be heard. A voice of professional opinion and comment. We want to be the voice of cancer patients in Wales. Not just broadcasting it’s about having a conversation. Social media allows your organisation to get what it wants out of it. You can choose how to use it and how to interact. Social media is a great way to drive people to our website where we can put much more information than we can on a post or tweet. Must represent all people. Not just pink and female! 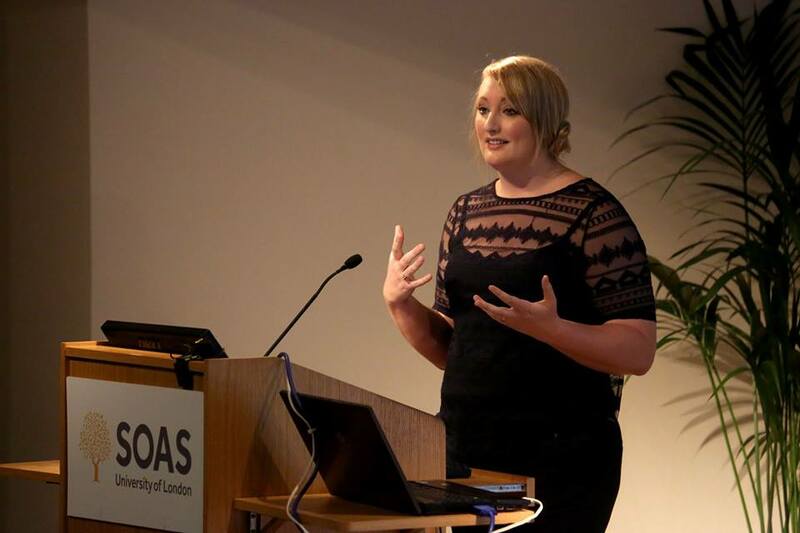 We use videos in blogs from researchers to show the ‘face of research’ to the public. A brief introduction but then if someone is interested, they can link through to more information available to them. New biobank in Nottingham. Set up 3 years ago. The public voice is really important to learn from and why all should listen. Asking for PPI involvement, NHSB produced a job application, training by the hospital trust, give them an honorary contract from the trust and also sign a confidentiality agreement. As they are also facing the public they need to go through the necessary checks. The PPI advocates are also taken through the whole process full life cycle of biobanking touring the histology labs and receiving an overview of the NHSB clinical/sample storage. Annual appraisals for the PPI advocates. Recognise and acknowledge the number of years given to the Nottingham Uni Hospitals by the PPI advocates. We broke for lunch during which time we were entertained by a wonderful group of singers from the Tenovus Choir. Would a ‘swipe to donate’ card work for signing up for giving consent to use your tissue for research? Same as a loyalty card, it might be presented to the person with instructions about how to active online. Once online the person is able to personalise the card, say what they would and would not consent to. Additional information about patient groups in the area, current research studies that are local. Your consent would then be added to a database and the card would be the key. Information is updated if you had a hospital episode of someone has done. You could incentivise someone by doing online research or updating it regularly. Would need to be prompted to check in and update.. perhaps by email, text or on a letter. You could also say how you wanted to be contacted i.e. by text/email/post. This communication could be used to send additional information or new trial information. You could also keep it updated with other information such as recent blood tests. Record mood, wellbeing, lifestyle information, weight/height etc. Enriches the dataset of your tissue which makes it of more use to the researchers. A simple interactive tool to volunteer our use for leftover tissue samples. What happens if I lose the card? Can’t remember the pin number? Website. I’m happy you can use my tissue, don’t bother me again. Personal information about me, how will I know it’s secure? Where is it held? To close the day there was a round table breakout session to come up with action points and an implementation plan to raise understanding and awareness of research. How do you get more public awareness into biobanking? 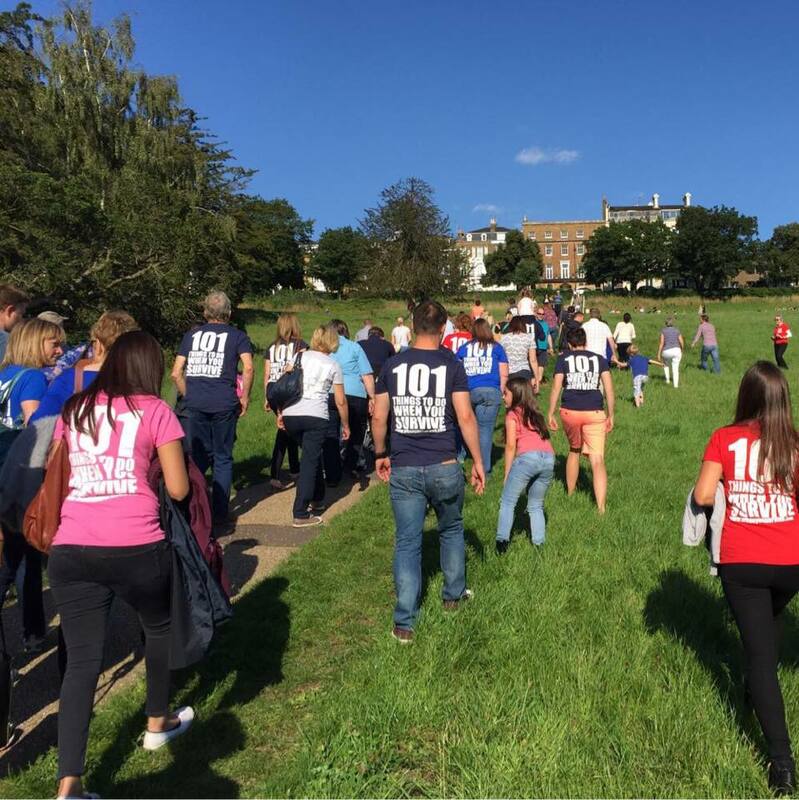 Would you attend an open day at a biobank? 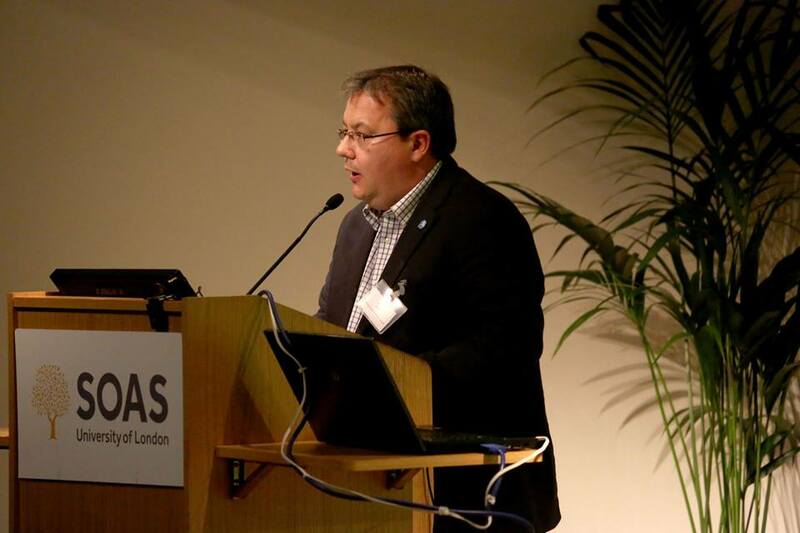 How can biobanks or the CCB address challenges of public engagement in biobanking? Appropriate communications, avoiding jargon, plain language. School, W1, community groups, Unis, Rotary, soap opera, magazines. Divorcing fro own personal health but being part of everyday conversation. ST – develop toolkits to give to resources so that these conversations can be had at appropriate level, professionals, patients, general public. Trust – make this type of complex and emotionally laden topic accessible to all, accessibility = transparency = trust. Seeing is believing – tours of biobanks. Looking at what we can do internally within biobanks. Getting Biobanks managers and boards to understand the difference between involvement/engagement/consultation. Involving actively or engaging passively. Sharing best practice with case studies from biobanks. Research studies to demonstrate the impact that public and patient involvement can have on biobanking. CCB could set up and provide a professional program to train biobanking managers on how to to do it, engage, involve. As part of CCB membership additional ‘kite mark’. Which will also build trust and transparency. How can the CCB most effectively translate the findings of biobank into health development. How do you engage Govt to develop a policy? Incentive? An incredible thought provoking day discussing biobanking, tissue and organ donation and also looking at the small amount of people who actually participate and discussing why. I hope the notes from the above may get you asking questions, perhaps signing up but more than anything having a conversation about it all and letting your friends and family know your wishes. 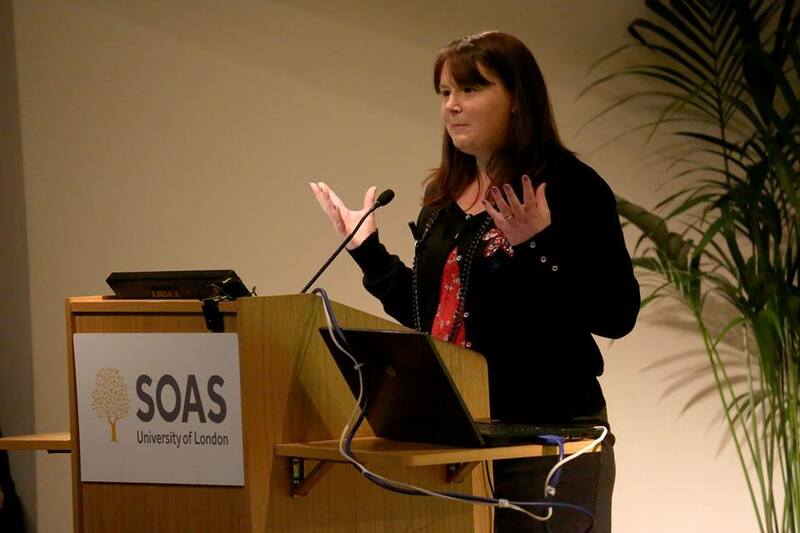 The second day of the conference began with me being fairly grumpy! The queue to get into the dining room for breakfast was stretching out to reception! After 20 minutes of waiting, I gave up. I only wanted a croissant and some fruit but it wasn’t to be as I was keen not to miss any of the conference… but no breakfast = grumpy Anna! Hilton Hotels get your act together! Socioeconomic changes and how that impacts cancer incidence and survival. 9 cancers for majority of cancers 2/3rds of burden. Globocan 2012 provides many graphs and examples. Major increases in the population coupled with increasing longevity has linked to epidemologic translations Including cancer, moving from infection related cancers toward a western lifestyle. 1 in 3 NCDs are cancers. A great deal of information and graphs showing changes in some countries for increases in cancer and also decreases eg Japan have an increase in young people with cervical cancer. India have a reduction as marriage age is getting higher. Russia and Belarus have no screening and it has rapidly increased for cervical cancers. Why registries are so important so we can track what is happening and measure it accordingly. Training and collaboration with cancer registries around the world. Try to ensure registries are in place to help with cancer control and also for reporting worldwide. 3 way split between high quality data, national and regional data and frequency data but 62 countries with NO data at all. Recognition of increasing global cancer burden. UN high level summit talks about cancer registries. Good data collection and methods of using and sharing data effectively. 21 countries with a national registry inc 7 countries from eastern Europe. 50% of European populations including over 10m cancer cases. What is the ICBP? – unique collaboration in terms of countries, international collaboration involving policy, research, cancer registry and clinical professionals at a global view. Focus increasingly on the first year post diagnosis. Why are we not getting more patients beyond the first year survival which we can also see affects the 5 year survival statistics. Module 1 – survival and stage table. It’s not only early diagnosis that came out from this module and data comparison. It was also access to services and quality of treatment. Looked at differences in population. In the UK were our people less aware of the signs and symptoms? Findings: ABC measure was born and has been used for surveying populations. Generally speaking similar levels of awareness across all ICBP countries. Generally low awareness across all countries of the increase factor of age. UK – stood out the reluctance to visit a GP and wasting the Dr’s time. Elements of embarrassment i coming forward in the UK. Be Clear on Cancer campaign to try to change the belief of wasting GP’s time or embarrassment. Were there fundamental differences in systems? Progress 2895 GPs responses to online survey and analysis complete in 11 jurisdictions. Papers are about to be published. Tend to feel more strongly about protecting their patients from over investigation and preventing a secondary care overload. We need to look at the cost structure to overcome this aspect. Looking at via surveys patients, GP and specialist. Looking at length of time between first noticing symptoms and time to GP and referral. Collecting this information across the cancer pathway in 10 jurisdictions and comparing each of them. Anticipated impact is focus in on areas with longest interval. Look in much more depth of the differences in registries. Should have a key impact on the best practices and developing tools that look at different factors. Building on the legacy of ICBP. Lots of questions have left unanswered but needs to continue and keep it up on the agenda. Perhaps political policy will assist keeping it on the agenda particularly as comparing with other countries. Process of finalising a publication but as yet unpublished. 1 in 8 men in the UK will be diagnosed with prostate cancer at some stage in their life. We know there are ethnic differences but don’t know how they translate into incidence and mortality. Few date issues that meant we weren’t always able to tell the ethnicity for over 1/4 of the data fields. Total numbers of deaths in the data did not match up the total number of deaths in the office of statistics. Several analyses in each ethnic group were done. Best estimate but also larger groups to get a true value. Used DevCan – system US. Major ethnic groups analysed – white, black and asian. Mixed – were difficult to obtain clear results. Lifetime risk is calculated as percentage and odds. Although there is a bit of variability based on the methodology used. Consistent message that Asian men (1 in 13) are at a lower risk of being diagnosed of prostate cancer than white men (1 in 8). Black men are at a much higher risk, although much more variability the research evidences that approximately 1 in 4. Best estimate – White 1 in 24, Asian 1 in 44 and black 1 in 12 – dying from prostate cancer. Looked at data from 2008-2010. When you compare the diagnose number and deaths all groups indicate that 1/3 (across board) will die once diagnosed. Perhaps there is no difference between the aggressiveness of the disease no matter what colour skin. Need to reach out to BME communities to be aware of symptoms. More research is needed and collection of perfect ethnicity data is needed. 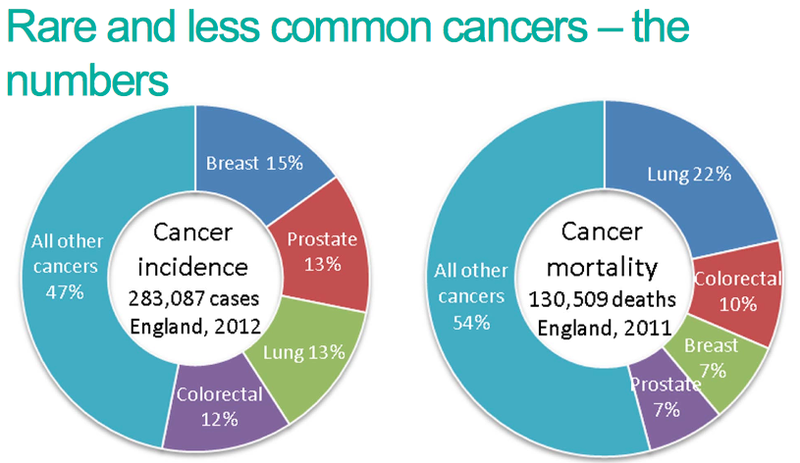 2011 cancers has seen the largest percentage of death in the UK accounting for 30% cause of death. For serious mental illness it’s the 2nd or 3rd cause of death. Big gap between the general population and people with serious mental illness (‘SMI’). Only 1 team in WAustralia investigating this. early symptoms ignored or not understood. Is the stage also affected when diagnosed. Prognosis of cancer patients with psychiatric comorbiditiy. 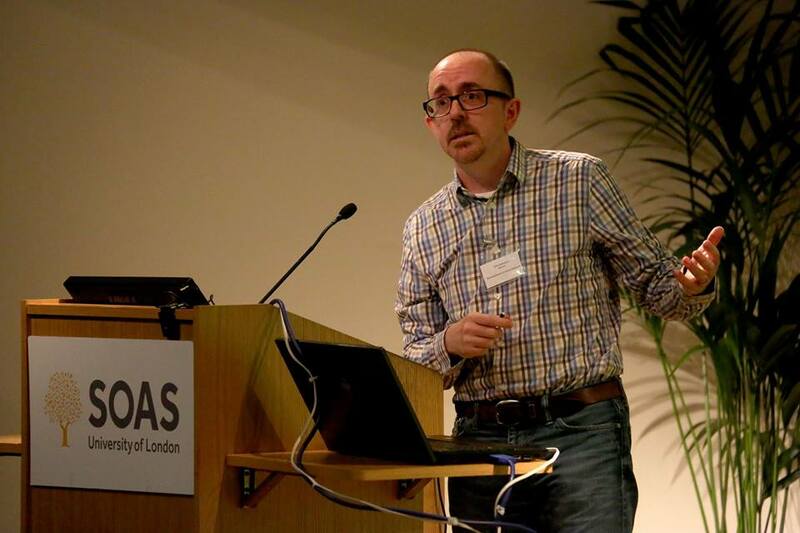 Extending CRIS system to Cambriddge, Imperial – UCL, Oxford and Camden & Islington. We know that emergency presentation is particularly common in some cancers such as lung and bowel. Associated with a poorer outcome and may be associated with initial treatment from wrong specialist. Emergency Presentation is more common in older people. We need better understanding who’s at risk and what can we do about it? What are the major knowledge gaps? What cancer sites are most promising for intervention? What interventions are ready for evaluation? Not simply to replace Emergency presenting with routine presentation. We want to replace with someone presenting 6-12 months before with stage 1 or 2 cancer. Who should take this forward? Very much in our hands as to which teams should take these interventions forward? Research fellows? Charities? Rare cancers…. even more ! Routes to diagnosis – increased look at cancer types and producing data from them 22 in 2010 and 57 in 2014. 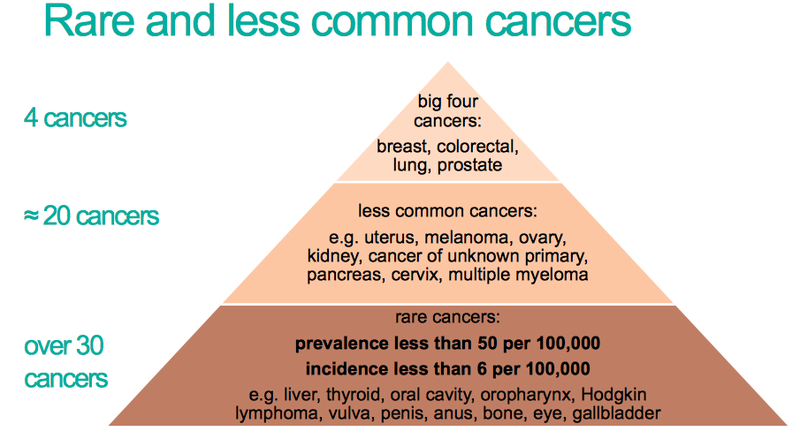 What do rare and less common cancers have in common? Each cancer site shows different results. Specialist advice (clinical and analytical) is crucial. To test whether the effect of HT varies type, duration or recency of HT preparation used. Holds primary and secondary data. cross linked with other databases and person specific. Findings from the GPRD agree with those reported previously from other studies with prospectively collected information on HT use. With the very small numbers of incidence there are limited studies looking at incidence and survival rates. Both Improving Outcome Guidance in 2004 and 2006 specifically had improvements for head and neck. Because of the small numbers its hard to see if anything has changed. MDT specialty – positive outcomes since the guidance was set out where we can see that there has been a significant increase in referral to the right MDT specialty. Patient spread for surgical treatment. Data shows that there are number of trusts that might only have treated 1 patient in the entire 10 years of the study! I will post a link to the presentation once available. We need to move to a strategy when we think in a different way rather than the economics. We are talking a great deal about the value of services and NHS etc rather than the value of and to the individual. Changes in the NHS – are we spreading our resources too thinly? No doubt the point of contact for you within the health service should be the most important thing. We’ve not yet got it right. If we’re going to visit better outcomes then we need to tackle the first point of contact too. We don’t wrap the system around the patients enough. In terms of the data itself – it’s easy to look at national data and say were good at this or that. We can look at a local level. We need to create ownership of the data around the geographies to be sure their own data is better and is owned. Working collectively to gather for the greater good. Rich national dataset that we can and must use but we haven’t yet made great inroads in it. Need to make more out of the data. Finally, with such a rich set of data and the ability to intelligently obtain information from it. We need to get cleverer at using the data in order to year on year look at the services to ensure we can achieve the best. Echo the good things said about NCIN and the work they do. No doubt research using the data has been saving lives for many years. We know more about how to reduce the risk of cancer and determine the best treatment and long term outcomes. How are we going to improve further and get up and beyond the levels of other countries? We know there are at least 10 different types of breast cancer. We know asbestos causes mesothelioma. Key obstacles we need to address: Regulation – looking at EU regulations and ability to track patients through system and outcomes will be compromised if EU data systems come in. We must at all costs make sure work is not held down by regulations. Changes in the health systems recently has given us problems. Relationship with the information centre CPRD and difficulties of joining different data has given us delays and loss of capabilities in the Registry. This has stopped us doing as much as we would have liked and can achieve. Public perception of data and it’s management has been undoubtedly damaged by care.data. This was a fundamental problem and unsettling. We have to overcome this. There have been ZERO breaches in any confidentiality of the Cancer Registry. 25% to 50% alive 10 years from diagnosis of cancer. CRUK want to bring this to 75% in the next 10 years. We need data to understand this and move forward. Stratified medicine has to understand at a detailed molecular level. We will only be able to capitalise on that if we can get the data systems right and keep them functioning. Data is a precious life saving resource. Do not take it for granted. Fight to maintain the system that we have. Worth reflecting on how we got here and what this is about We have had earthquakes of public trust. This is YOUR clinical information that we collect and we are duty bound to look after it and my responsibility to make sure that I protect patient confidentiality. As Peter has said the support we’ve had over the years to look after your data and you can request it’s removal from the Cancer Registry. This is about delivering care to individuals. You’ll treat them on the basis of the stats but as we move to personal care it’ll be the molecular abnormalities that determine your outcome. We need to maintain the public support for data collection and NCIN database that puts the potential for cancer care in this country further forward than anywhere else in the world. In the next 5 years we will have extraordinary ability to provide the most personalised cancer treatment. Current state of play for data. Clear that public feeling has been shaken. Rarer cancers are rare. Data on rarer cancers will be much more identifiable. Huge amount of exciting work going on using data for rarer cancer. Use of data in rare cancers. Hidden cancers and less visible to the public. Huge demand for this sort of data. Need to meet this and produce reports that are useful. NCIN route for diagnosis project showed ongoing problems for cancer patients go far beyond those related to cancer. We need to be much more open with the data that we hold. Ensure patient identifiable information is removed from data sets. Once this has been done the data that we have is published. Closed shop needs to go. Automate data flow around the system to ensure sticking to rules and make better use of data that we do at present. We need to work collaboratively to come up with solutions where problems exist. Q – How can we ensure the diagnostic experience for young people is improved? SD – we have a first point of contact system designed 60 years ago. We need to tackle it externally and internally. Simple things needed – proactive approach to primary care. Safety netting – young person with a set of symptoms its probably the last place they want to be… be proactive and should raise a flag for tests. We have created a mechanism whereby the referral is the only route – needs to be challenged. GP should be able to make a clinical decision on the basis of facts not ask the patient to wait! 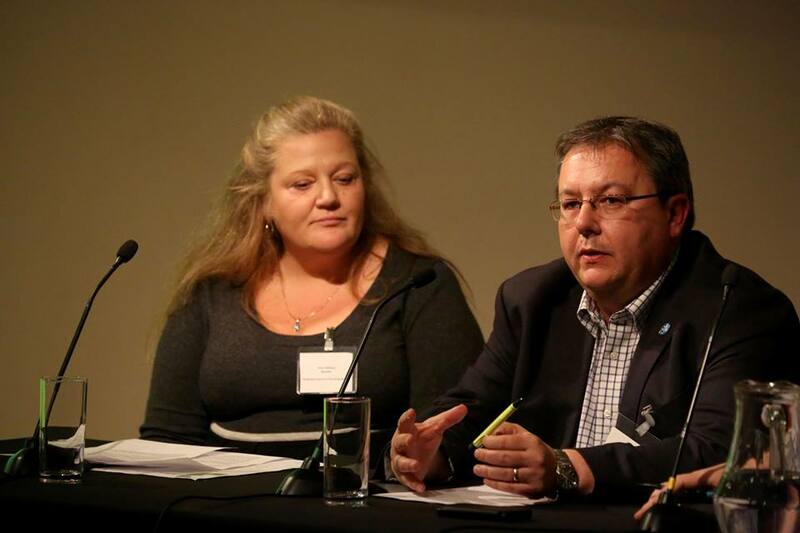 JR – We need to recognise that a missed diagnosis is one that everyone inc GP regrets. However some cancers in a young person are difficult to detect. They are rare. Symptoms and signs of a brain tumour are subtle. No of patients that a GP sees with those every week, it’s difficult to identify. Where the value of the dataset comes not from surveillance but that we should learn from every case. How do we raise our game? SD – there are risk assessment tools that allow patients to flag up symptoms. You can start to identify in an active way any of the GP patients that maybe at higher risk using some of these tools and data set. RP – GPs feel they don’t have the level of control and responsibility due to other constraints about referring and cost. 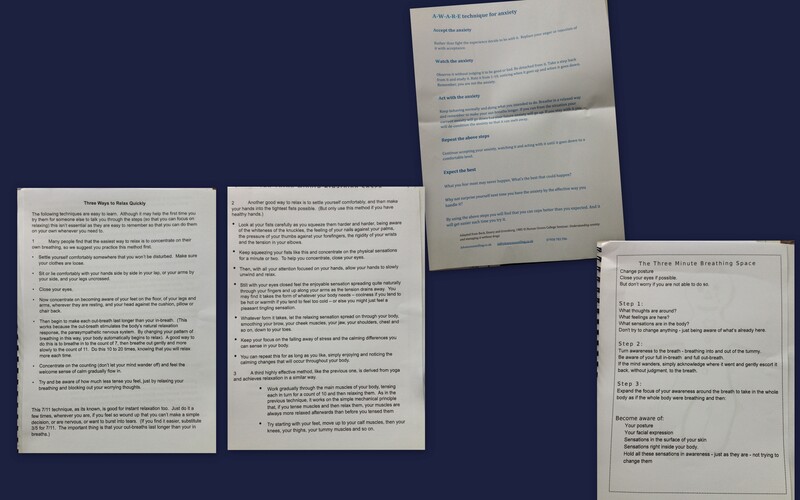 CD – The guidance at the moment is written to say send us these patients but often the ones that don’t fit that mould are overlooked because they don’t fit that picture. Be Clear on Cancer – enables the patient population community to know what to ask for and what symptoms. PJ – I think there is a massive amount of data that tells us a lot about patterns of referral. And the outcomes from this. Feeding the information back into the system is incredible important. Q – As a researcher the amount of time it takes to get access to data approved throughout he current regulatory approval system. Is there a strategy to help researchers get access to the data and make use of them in a more timely way. JR – Richard’s experience shared by others. We’ve tied ourselves in knots frightened about releasing data and protecting the confidentiality. We need to recognise what you want us to do. Inside PHE we are trying to deal with it and create the structures to manage the data release. The demand for the data is large. We have disadvantaged ourselves by separating the people who pull the data and those who analyse it. I think we do need a clear process of maintaining that public confidence. Complex area but we need to be better at giving data confidentially. RP – What is your attitude to selling data? JR – Govt data is not available. Not a resource from which to make money. The data that we collect on you is for the social good BUT need to protect patient identifiable. Financial constraints on delivering personalised health care will not be cheap. We need to enter into the discussion with industry to pay a fair price and benefit. Q – How big a threat to our ability to gather and use data would changes be that require consent to use the data each time? This would negate the value of a Cancer Registry. A – It’s a risk and will undermine everything that we’re trying to do. We need our MPs to change this view and to ensure that this change does not take place. Q – One of the ways that we can prove that consenting to use of data is to show the public how the data can be used for good and can be done. CD – Hugely disappointed when cancer networks became unpopular. People didn’t believe in coordination. 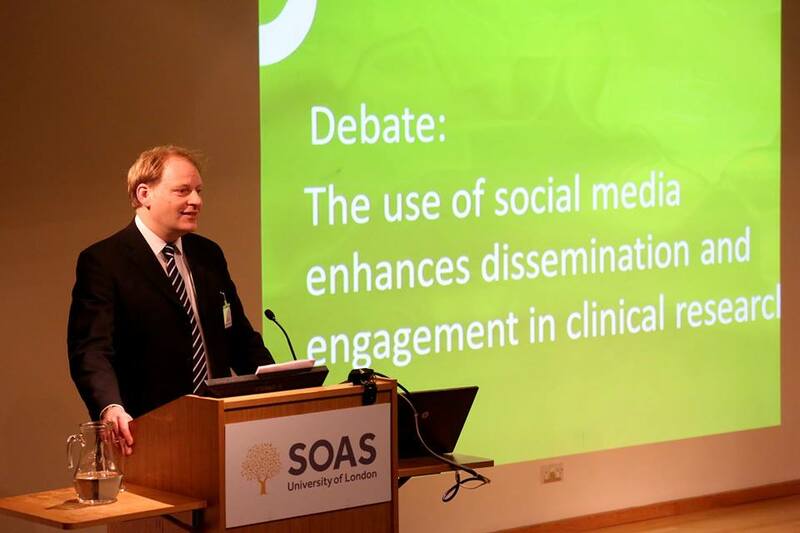 We need to make use of the strategic clinical networks. Make sure the patient voice is embedded in the senates, and clinical settings. We need to be more assertive and move together. JR – Some basic processes. Transparency and openness. Audit – any patient can approach and ask who looked at my data. Every patient who wishes can have access via a patient portal like the brain hub. An absolute right of opt-out. No process that makes it difficult to do that. I think that is what is needed to protect the data set that we’ve got and we need the community to act and educate the wider audience. Q – Despite significant Govt rhetoric influencing the NHS work we need to collect ht patient voice at and put it back into the system. How can we go about changing this? SD – I believe in the patient voice entirely. Within NHS England the patient survey is the most successful at influencing. We need to make more use of it. Q – NCIN was founded in 2008 with mission to provide the UK with the best intelligence in the world. What does the panel think the new mission for the NCIN should be to take us forward in th next 5 years. JR – We need to move somewhere else. I want a low level objective to make the patient and the clinician at the centre of the data store. So you can ask where am I in the system? You can check you’re getting the best and ensure that no cancer is left out. Patients and the public at the centre for cancer. RP – When you collect data that is at a granular level are you recording it? JR – Yes we are. We need to know what receptor it has. If it responded to medication. etc etc. Absolutely linking it into all sorts of datasets to look at a much bigger picture and make it more personalised. PJ – 4 years of outstanding progress and 1 year of challenge. I think it’s time to reaffirm the quality of the data and now we need to see it and put it in front of the people who generated it, people, public, patients, clinicians etc. Want to see equally superb access to it. CD – based on outcomes not last year’s data. Q. – When a patient comes into hospital with advanced cancer, the patient has rarely been recording if they’ve been attending primary care prior to emergency presentation? 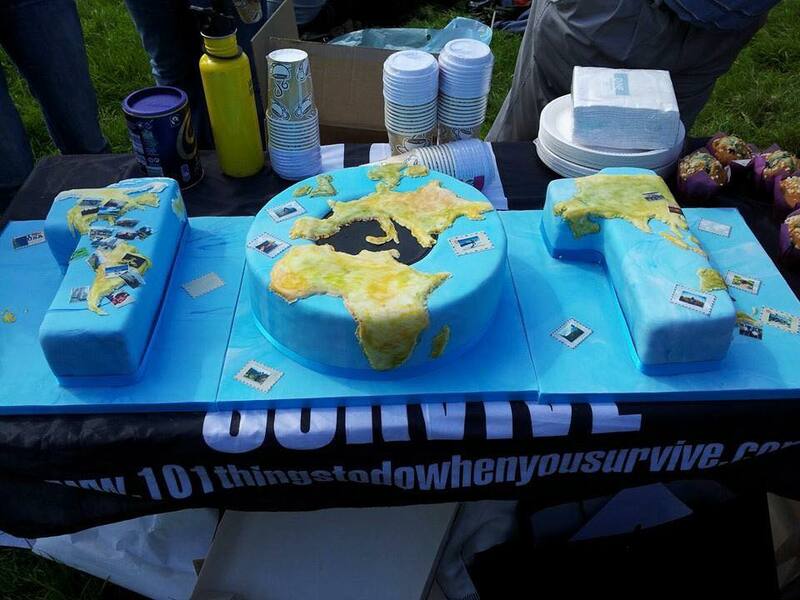 Should we incentivise GPs by giving them QoFs? Perhaps to embed good practice for a period of time. PD – Both London integrated cancer centres have been involved in looking at attendance of A&E and that will give us some answers about the gaps. I do think there is something about incentivising a better pathway of care. We need to use everything in our power to make the system work. Progress Educational Trust are hosting a series of events relating specifically to breast cancer. The variety of the talks cover genetics, gene testing, prediction, screening and risk. Tonight’s free talk is being hosted at UCLH in North London and supported by Wellcome Trust. I was told about this event by a couple of people, one of whom had heard of it from the US and suggested I attend. I was particularly pleased with the variety of speakers for tonight’s event. A spectrum of experiences and also of opinion. Each speaker only spoke for 10 minutes and this was then followed by an extensive question and answer session. Wendy Watson spoke about her own journey. She was one of the first women in the UK to undergo a risk-reducing double mastectomy. Her own research led her to make and insist up on this surgical decision. She then sought to set up an advice line and raise awareness for others facing a similar decision. She has published her book “I’m still standing: My Fight Against Hereditary Breast Cancer”. Wendy told us that 1 in 200 have genetic damage which may imply a higher risk of breast cancer. 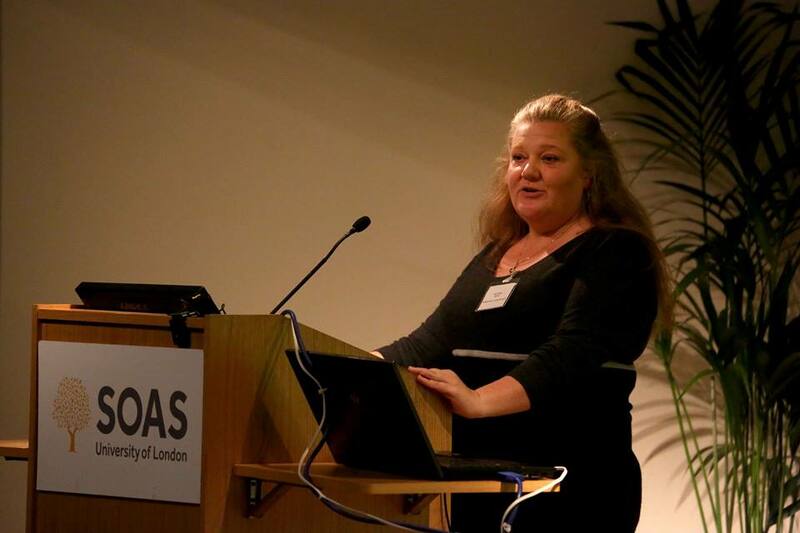 Wendy believes that more should be done and available on the NHS for women AND men to discover more about their genes and if any mutations have occurred. If you are concerned about a hereditary risk of breast cancer, her organisation, National Hereditary Breast Cancer Helpline offer support, advice and in some instances, funding for screening. Our next speaker Paul Serhal. Paul spoke passionately about his field. He was responsible for the UK’s first baby born following pre-implantation genetic diagnosis for BRCA1 mutations. Pre-implantation genetic diagnosis (PGD) is a technique that enables people with a specific inherited condition in their family to avoid passing it on to their children. It involves checking the genes of embryos created through IVF for this genetic condition. More information can be found at Human Fertilisation Embryology Authority. Paul was passionate about the importance of his work and what it means to the people he assists. I was so pleased to hear also that they currently have no waiting time, have some funding arranged for suitable patients and can offer 3 cycles to each couple. I know of people who have the BRCA mutation and have considered NOT having children because of it. This work would assist many. 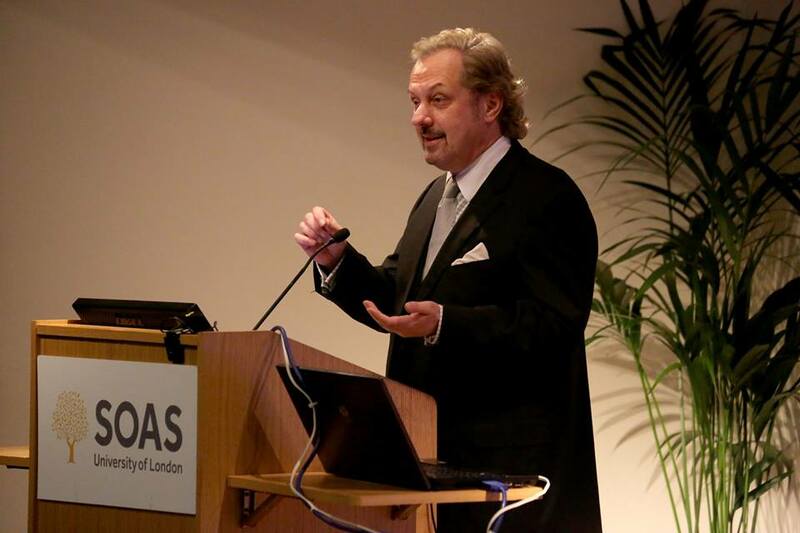 The third speaker was Professor Stephen Duffy. Prof Duffy was part of the original team who adapted the Swedish two-country trial of breast cancer screening on which the UK’s national breast screening programme was based. He remains an advocate of our screening programme and is often quoted at times when people say that the screening has led to over diagnosis of breast cancer in the UK. One such quote “In particular, it is good news that lives saved by screening outweigh over-diagnosed cases by a factor of two to one“. He spoke about the difficulties of screening for women with dense breast tissue. This is often raised when discussing reducing the screening age as younger women tend to have denser breast tissue. Prof Duffy said that often there is less lead time to diagnose breast cancer due to the difficulties reading mammogram results of dense breast tissue. His research has led him to look at and compare the US to the UK. He identified that the US certainly were far more radical with their surgery and treatments – however it wasn’t clear how much of this may be due to ‘insurance’ factors but felt not always necessary. He was pleased to note that although breast cancer may be on the rise for being identified and diagnosed it was now much rarer to die FROM breast cancer. So how can we avoid getting it? We are getting periods at a younger age and having children at an older age. He found that if you had your first period at the age of 11, you were 3 times more likely to get breast cancer than a girl who started their period of age 14. There is a higher risk of breast cancer in women who have taken the pill or HRT. 5 years of HRT doubles the risk of breast cancer. Obesity post-menopausal makes you at much higher risk of breast cancer. There’s a 20% reduction in breast cancer when in the breast screening programme i.e. every three years. It is imperative that people attend their screening when invited. There was then a long period for questions from the audience to the panel. As this was a free to attend event open to all, I was pleased to see a good variety of attendees and hence with the questions raised, I’ve stated who the questioner was. Q1 Scientist – What’s the extent of genetics, epidemiology & screening connection? KM – Yes they are connected. There is an Integrated Pathway (which is new) that is assisting with the integration of these three areas in determining healthcare. Q2 Dr – If money was NOT a factor, what would a perfect screening programme look like for breast cancer? SD – About right with the current screening programme i.e. 3 yearly mammograms. There is often talk of MRIs being better however patients don’t like MRIs and although they may be marginally more effective experience tells them that they produce more false positives so may lead to unnecessary surgery or treatment. Angular mammograms where using architectural distortion produces measurements of angular distribution i.e. slices of the breast may be more accurate but are complicated to read and produce. 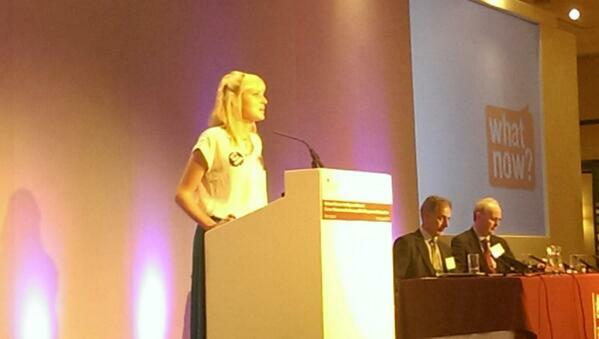 Q3 Patient advocate – Spoke about the importance of trials, clinical and surgical. 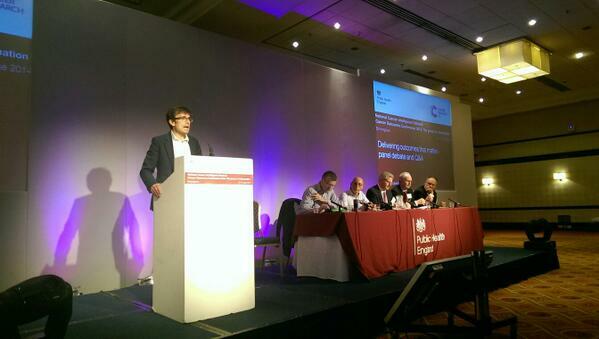 Asked what could be done to ensure more patient involvement and also of the recent DCIS trial. Q4 Patient – What is offered to ladies under the age of 30 who have been tested positive for BRCA mutations by way of screening? Mammograms are not offered nor the option of going onto the normal breast screening programme. SD – He reiterated that most screening is ‘pointless’ for people under the age of 30 due to the denseness of breast tissue. Q5 Journalist from Pink Ribbon Magazine – To Paul asking more about the PGD programme and requesting information. Q6(1) Clinical Geneticist – If we delayed puberty then this might/would reduce cancer… why can’t we? There was much discussion about the ethics around this and although there was a consensus that it may reduce cancer, would it be ethical to do so? Q6(2) – If each child was tested for BRCA at birth or perhaps a mutated bowel gene and found positive… could we delay their puberty knowing this may reduce their long term risk of cancer? Again much the same discussion. Yes it may help but would it be ethical? What other implications may this have upon the person emotionally and psychologically? Q7 Genetic counsellor – How many genetic counsellors are there in the UK and where are they? It was felt that many genetic scientists went on to become genetic counsellors and nurses in this field. However nobody was sure if there was a directory of genetic counsellors in the UK. Q8 Patient – Why is breast cancer in younger women rising? What are the risk factors and how can people avoid them? KM – He reiterated earlier periods and later pregnancy. He also discussed the increase in our use of plastic based products from an early life. Makeup, deodorant etc etc often contain oestrogen like products in the plastic and we’re putting this daily onto our skins from an early age. There are two final events in the series. Sadly I’m unable to attend but please do go along ‘Risk Management: Breast Cancer, Business and Patents‘ on Thursday 5 June, and a concluding event on Thursday 3 July. Thank you to the Wellcome Trust for supporting this series of events and UCLH for hosting these events by the Progress Educational Trust. 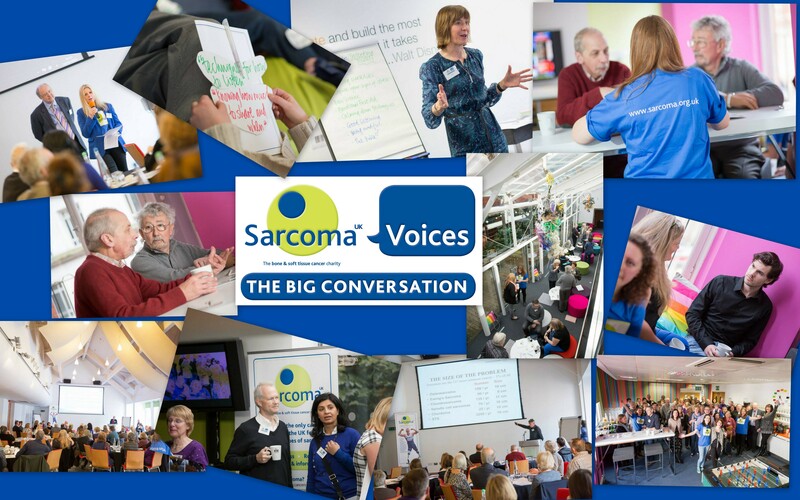 Sarcoma UK are today holding their first Voices event. ‘Changing the landscape for sarcoma’ AKA The Big Conversation. An early start for me to travel from London to Birmingham for a 9am start. Eeek that’s a time of day I try to avoid and I can report that the only others I spotted as I ventured to the tube line was 1 dog walker, 1 jogger and the binmen! If I’m honest, I wasn’t sure what to expect from today. I’ll do my best below to summarise for you. 9-10am – Registration. I was very pleased to see some familiar faces and be able to catch up with them, find out how they are, what’s happening in their lives and receive/give a few hugs too! I so value the camaraderie between patients, carers and patient/carer advocates. The positive actions of each person attending and sadly often news of those who have passed away. I have attached links to the presentations given however have also added a few of the notes/highlights that I wrote down during the day. As reported in the Mail newspaper – 1 in 4 cancers are missed or misdiagnosed in the UK. 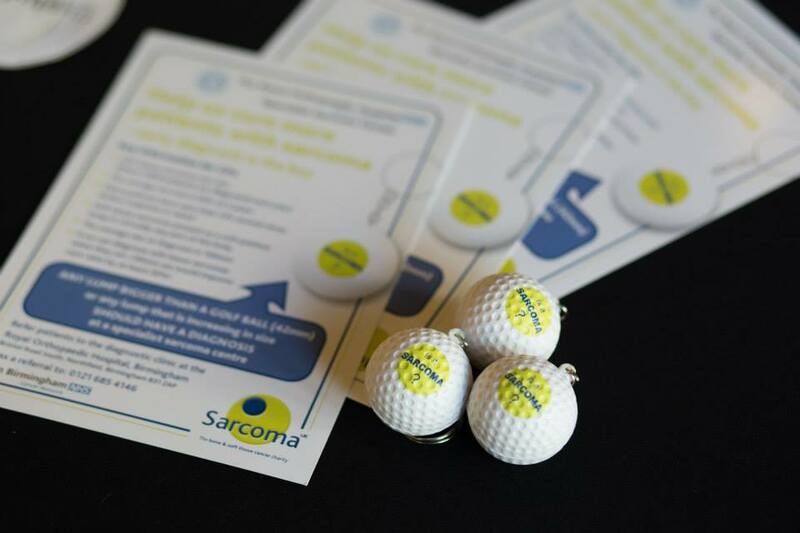 However the headline they omitted was – 90% of sarcomas are missed or misdiagnosed in the UK. 1% of radiotherapy patients may get a radio-induced osteosarcoma in later life. – any recurrence of a previously excised lump. Only 15% of sarcoma patients make it onto the 2 week wait rule. Average time that people live with symptoms BEFORE visiting a doctor for sarcoma is 1.5 years. Shocking results that younger people don’t tell their parents/teachers/friends about lumps until they have to! Speak out about lumps – the earliest they are diagnosed they can be excised and treated. Rob also spoke about a campaign that was carried out with GPs and golf balls. The premise was to alert GPs that any lump bigger than a golf ball (42mm) should have a diagnosis at a specialist sarcoma centre. Help spread the word! Patients with a named cancer nurse specialist have a better prognosis. We need to ensure that within the NHS CNSs are available to all. Did you know you were entitled to free prescriptions when undergoing treatment for cancer? Most don’t but the difference in cost to a patient can be crucial to them keeping up with the drug treatment. Not enough information about sarcoma available AND given to patients. How can we improve this? Sarcoma patients fare badly in referral and diagnosis times. More awareness needs to be made to the public but also referral routes for the professionals. There is still a large (unresourced) quantity of emotional and psychological aspects to a sarcoma diagnosis. Education for the younger population to be ‘body aware’, open to speak with adults about concerns and to report lumps and bumps when they first are noticed. Some improvements have been made and we, collectively, need to continue to get changes made. This presentation (see attached) shows in detail the structure (as it stands today) for the NHS within the new ‘world’. This may well change. However it’s clear from the slides that it’s complex, there are a great deal of aspects to consider and there are voices much louder than the sarcoma and rare cancer ones. We need to ensure that we are not forgotten. That our pathway is as robust as that of other more common illnesses. Derek, as always, gave a truly engaging presentation. Derek spoke about the importance and value of the patient/carer voice. The various places that you can be involved and the level of involvement that you may wish to offer. There is much more available than there ever was and don’t be put off and assume it will become a full time job! Some committees and boards only meet twice a year. Others more often. Some roles can be done by email or online feedback and others require you to attend offices. 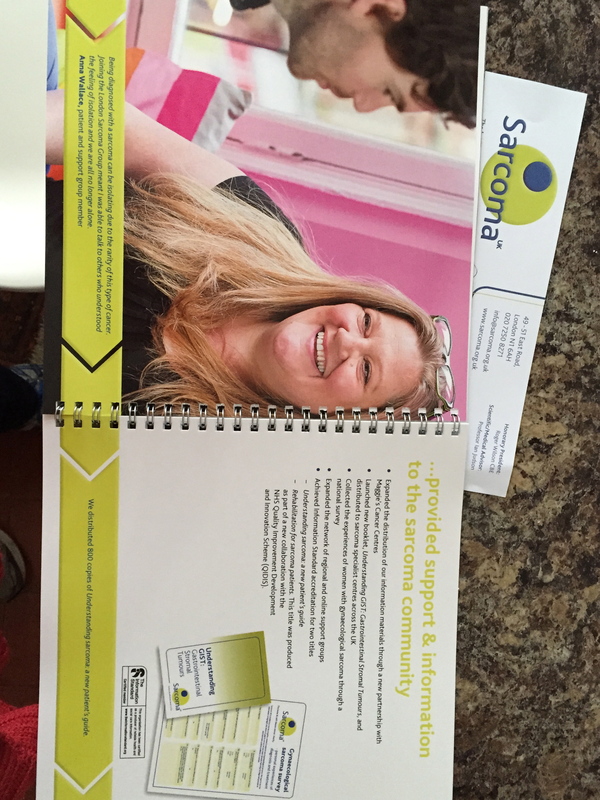 Some simply by speaking about sarcoma or offering to drop in leaflets to local medical facilities. The important message however is that no matter how you are involved, your voice is crucial to ensuring improvement and changes for the sarcoma landscape. There were four workshops arranged for the afternoon and we were each asked prior to attending the day to choose two to attend. I had chosen this session as I have, within the past 4 years, supported others, spoken at events and participated in conferences without thinking about the impact it has on me. Of course I’m happy to give of myself whenever asked however often ‘retelling’ my story or delving into my experience can take me back to a place I never wanted to return. Supporting others I’d like to be better at, listening without offering answers or advice is something that I know I can improve upon. Lastly, loss. Losing friends to cancer, whether they be people I’ve known for years or know because of my diagnosis, is incredibly tough. Learning how to manage those emotions but not to switch off and stop feeling is also something I’m aware of needing. Jo Ham, the facilitator for this session started by turning the workshop heading on it’s head. She explained that we should protect ourselves BEFORE helping others. A little like the oxygen masks on a plane – fix your own before helping anyone else! Jo explained some techniques to protect yourself relating to anxiety, relaxation and breathing. Noticing anxiety appearing and how to take control of it. The A-W-A-R-E technique: Accept the anxiety; Watch the anxiety; Act with the anxiety; Repeat the above steps; Expect the best. Breathing into the diaphragm and counting… in for 7 and out for 11. The 7/11 technique. Below is a picture with a couple of the exercise notes. You should be able to click on the picture to enlarge and read. We then did a short exercise about ‘reflective listening’ to help us support others. A very useful workshop but indeed way too short in time to really be effective. Many of the exercises and principles were similar to ones I’ve learnt at Penny Brohn Cancer Caring Centre in Bristol. I was pleased when another workshop attendee suggested that people should get in touch with Penny Brohn and attend a Living Well course. Within my feedback and a conversation with Lindsey Bennister, I also suggested a collaborative event with Penny Brohn to host a Living Well course. Graham’s introduction to this workshop was to tell us about his experience with sharing his story, raising awareness for Sarcoma UK and the profile of Sarcoma generally. His background is as a writer (http://www.penguin-news.com/index.php/component/flexicontent/23-features/25-a-stange-sense-of-bereavement-by-graham-bound) and therefore has experience of dealing with written publications and telling your story. Graham explained his ‘journey’ and how valued a patient/carer experience is in so many ways. He spoke about how to write or be interviewed for a piece, the pros and cons, pitfalls and tips and tricks. The main point was to ensure that we not only mention cancer but our types of rare cancer, Sarcoma and the charity Sarcoma UK in as many appropriate places as possible. Graham’s account was very insightful, from the point of someone who has used the written word to speak about his experience and raise awareness. I wonder though if this workshop should be co-hosted by a media professional who can provide small vignettes and tips and tricks to work with the media – TV, radio and written word. I don’t think I was alone in wondering where the day had gone. Seriously it had flown by in what seems like minutes. The closing plenary reflected the same. A wonderful day, too short in time, lots covered and lots to take forward to making it an annual event. Clearly it was a valued day by so many people. People at differing stages of their experiences and journeys and I hope one where all attendees came away with ‘action points’, clarification and new friends. I also hope the ‘professionals’ present also learnt from their day with patients/carers.